Premium acetates and unique finishing put Thom Browne at the top of the luxury pile. We love their use of greys throughout the collection. We love to see functional fashion done well. 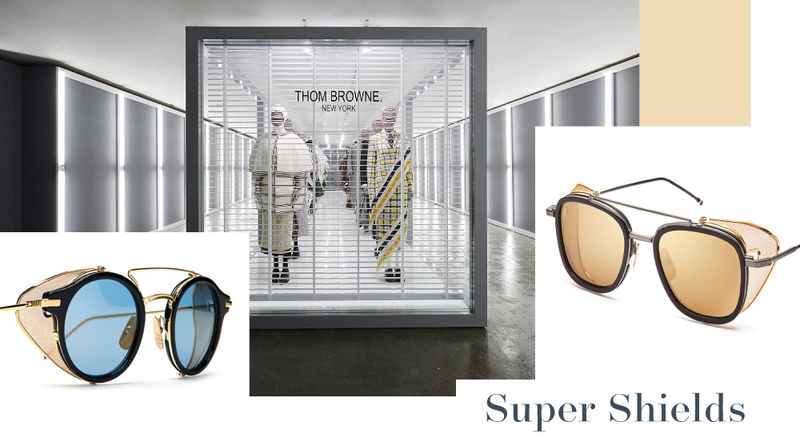 The side shield has become an iconic symbol of Thom Browne sunglasses. Linking the items available throughout Thom Brown ready to wear, are the famous TB stripes. Subtly placed on the temple behind the ear, each piece of eyewear gains it's stamp of excellence.